Lou Donaldson on this day,November 1, 2010 is 84 years old and is one of the living masters of the alto saxophone and someone who has stylistic ties with Charlie Parker. Lou burst on to the New York scene in 1952 after a stint in the US Navy and was soon recording and working with Thelonious Monk, Milt Jackson, Art Blakey, Clifford Brown and others. From 1955 onward, he has led his own bands and enjoyed a long career. He recorded as a sideman with the great master of the Hammond organ, Jimmy Smith in 1957/58 and liked the instrument and since then has used the organ in his working bands. Tonight's Feature is a Donaldson classic recorded in 1967 with New Orleans cornettist, Melvin Lastie Sr., a young George Benson on guitar, (Dr.)Lonnie Smith on organ and Leo Morris (aka Idris Muhammad) on drums. The album is called "Alligator Bogaloo" and was a good seller when it was issued on Blue Note in 1967 but it's an even better seller today as many djs, hip-hop and rap artists have sampled this album. It's funky, fun and entertaining and has a high level of artistry much like Lou's performances today. 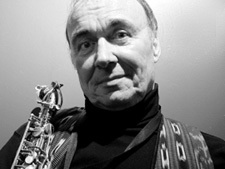 Donaldson at 84 is still touring, recording and playing. We should all be grateful he is still with us! Happy Birthday Poppa Lou Donaldson!